Now available in paperback, this Companion offers an unparalleled survey of the history, theology, doctrine, worship, art, culture and politics that make up the churches of Eastern Christianity. About "The Blackwell Companion to Eastern Christianity"
List Of Illustrations. Notes On Contributors. Preface. 1 Arab Christianity (david Thomas). 2 Armenian Christianity (vrej Nerses Nersessian). 3 Bulgarian Christianity (ivan Zhelev Dimitrov). 4 Byzantine Christianity (hannah Hunt). 5 Coptic Christianity (janet A. Timbie). 6 Ethiopian Christianity (david Appleyard). 7 Georgian Christianity (stephen H. Rapp, Jr.). 8 Greek Christianity After 1453 (vrasidas Karalis). 9 Romanian Christianity (mircea Pacurariu). 10 Russian Christianity (basil Lourie) 11 Serbian Christianity (radmila Radic). 12 Syriac Christianity (heleen Murre-van Den Berg). 13 Eastern Christianity In The United States (thomas Fitzgerald). 14 Eastern Christianity In China (jeremias Norman). 15 Eastern Catholic Christianity (peter Galadza). 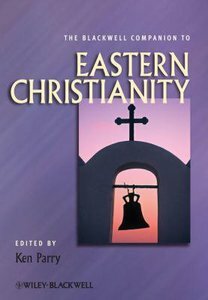 16 Eastern Christian Liturgical Traditions: Eastern Orthodox (graham Woolfenden). 17 Eastern Christian Liturgical Traditions: Oriental Orthodox (bryan D. Spinks). 18 Eastern Christian Iconographic And Architectural Traditions: Eastern Orthodox (alexander Grishin). 19 Eastern Christian Iconographic And Architectural Traditions: Oriental Orthodox (lucy-anne Hunt). 20 Eastern Christian Hagiographical Traditions: Eastern Orthodox (dimitri Brady). 21 Eastern Christian Hagiographical Traditions: Oriental Orthodox: Syriac Hagiography (eva Synek). 22 Eastern Christian Hagiographical Traditions: Oriental Orthodox: Coptic Hagiography (youhanna Nessim Youssef). 23 Eastern Christian Hagiographical Traditions: Oriental Orthodox: Armenian Hagiography (vrej Nerses Nersessian). 24 Sociology And Eastern Orthodoxy (peter Mcmylor And Maria Vorozhishcheva). Index.